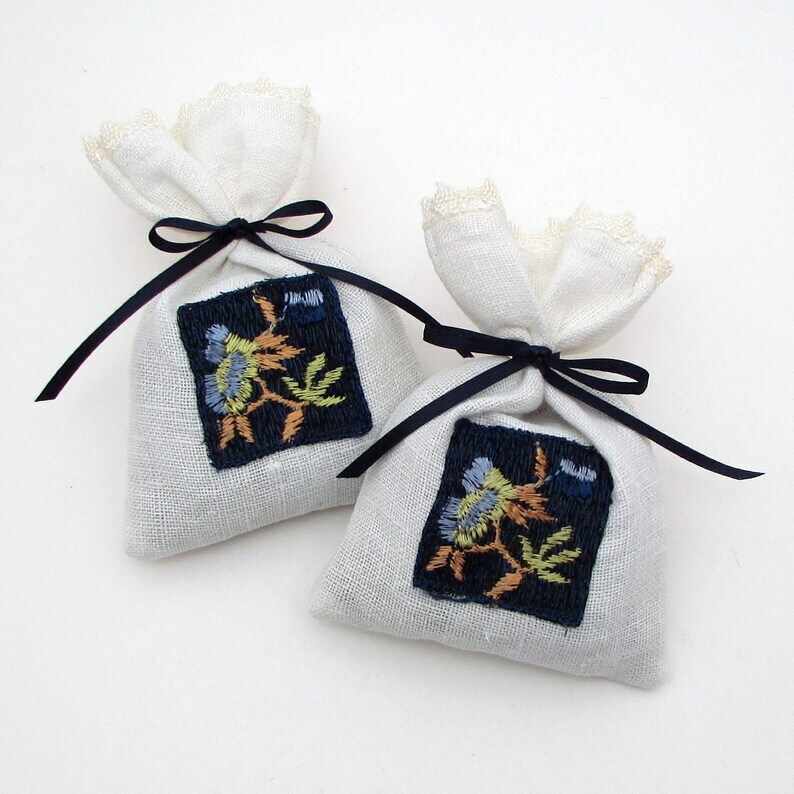 Set of 2 plump little lavender sachets made from upcycled vintage materials! Each sachet is filled with dried French lavender buds (no added chemicals), and tied with a ribbon. 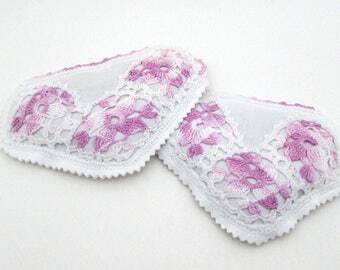 They are made from a vintage tablecloth with lace edging, and vintage embroidered flower appliques from Europe in the 1940s. Each sachet measures about 3.25"x 4.5". You will receive two sachets exactly like the ones pictured. These are tied securely shut with ribbon, but can be opened and re-tied if you would like to replace the lavender in the future.